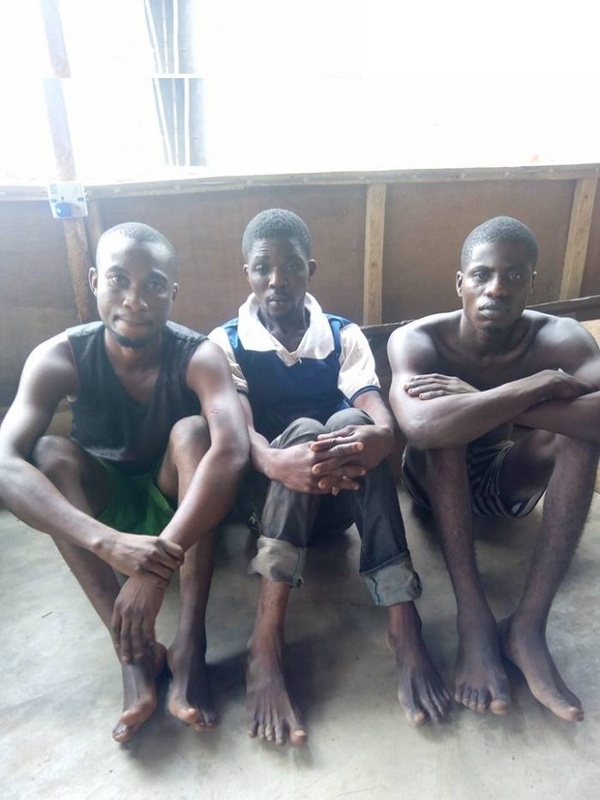 It is gathered as A middle-aged man, who had been living on robbing people with motorcycle, aka okada, for 15 years has been arrested in Ogun State, South-west Nigeria. The suspect, Lateef Folami, had twice been convicted in Lagos for stealing and robbery. He was arrested last week after ambushing two men, from whom he snatched #500,000 at gun point. The victims had gone to a commercial bank in Agbara, Ogun State, to withdraw the money and ran into Lateef and his partner-in-crime, 20-year old Benjamin Oforitse. Ironically, while escaping with the money, they were chased and caught up with by an alleged gang of more devilish robbers, who made away with both the money and the short gun in their possession. All the suspects, numbering five, are currently been interrogated at the Federal Special Anti-Robbery Squad (FSARS) in Abeokuta, the Ogun State capital. Lateef had worked with several robbery gangs, most of whom have been killed. It was from the last gang he worked with that he inherited the locally made short gun he used for his operations. In his confession to men of the FSARS, he said: “I have been in this business for 15 years, and have been convicted twice. The first jail term was six years while the second was two years. “Seven years ago, I was in Badagry when I sighted some goats straying in a burial ground near Badagry Police Station. I had to scale the fence, ran after the goats and succeeded in catching three. I tied the three down and, not satisfied, thought of getting more. That was how I was arrested, charged to court and sentenced to six months imprisonment. “The second time, I carried two people on Okada from Alaba to Bariga. Somewhere around Charlie Boy, my passengers attempted snatching a bag, unknown to us that there were security men around, they shot at us. Eventually, they arrested Wale and I, while the third person escaped. We were taken to Pedro Police Station, from where were charged to court and sentenced to two years each in Ikoyi Prison”, Lateef said. On how he came about the gun, Lateef said, “Myself and two other members of my gang went out on operation and had an open confrontation with another gang, which resulted in a gun battle. One of us was killed while I escaped with the other member. One day, the fellow with whom I escaped came and handed the gun to me, saying he was traveling and would not be around for a very long time. “I collected it, wrapped it with a polythene bag and hid it in a plantain Plantation. On May 2, 2018, I picked up the gun and went to Agbara with Benjamin, where we laid ambush for our victims. We saw them coming out of the bank, and sighting the polythene bag one of them held, I knew it contained a large sum of money. “I was riding the Okada while Benjamin held the snatched money and the gun. I went toward Idonyin/Edu, near Agbara, unknown to us that information had been passed to people in a village, who swooped on us. I managed to escape into the bush. But Benjamin was not as lucky as I was. He was arrested. It was the following day that they combed the bush and arrested me” Lateef revealed.